So what is next for the braggadocious Dubliner? According to some, McGregor will pursue the fatter pay checks boxing could offer. In reality, it appears that there is some unfinished business to attend to beforehand, however. Following McGregor’s financially successful venture into boxing (which will have produced a nice cut to his employers at WME-IMG) the Irishman will undoubtedly be given the grace to pretty much do as he pleases. In selecting an opponent, there is no name expected to rank higher on any list than that of Diaz. 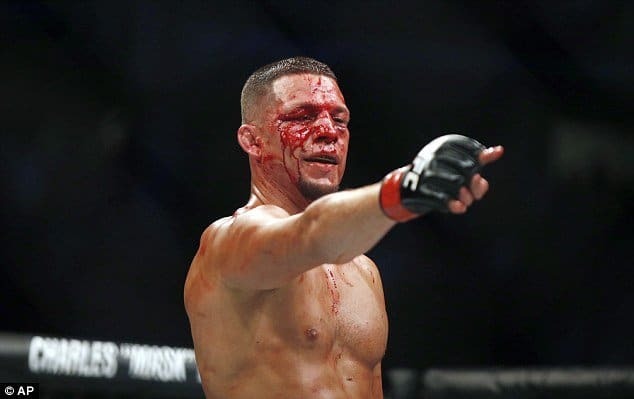 Many believe that McGregor vs. Diaz 3 to be the most potentially lucrative fight in the UFC by some stretch, given the track record and explosive rivalry between both men. Diaz had previously indicated that he will not return to action for anyone but McGregor, while “The Notorious” has alluded to a trilogy fight both before and after his bout with Mayweather. From a strict business perspective, WME-IMG knows that this is potentially the only fight to be made which could shatter the previous pay-per-view record of 1.6 Million (which was Diaz vs. McGregor 2). It has to be done, right? The rubber match. The decisive fight, to settle the score once and for all. Right? Well, in terms of entertainment, yes. The fight sells itself and will undoubtedly be the most anticipated event in UFC history. The rivalry between the Irishman and his most bitter rival was one which was maybe born accidentally (Diaz stepped in for the injured Dos Anjos and beat McGregor against the UFC’s script) but it will go down as one of the most important in MMA history. McGregor was beaten by the Stockton-native and fan-favorite at UFC 196 in March 2016 before slightly edging a decision victory in their rematch five months later at UFC 202. Many believe that McGregor vs. Diaz 3 to be the most potentially lucrative fight in the UFC by some stretch, given the track record and explosive rivalry between both men. Diaz had previously indicated that he will not return to action for anyone but McGregor, while “The Notorious” has alluded to a trilogy fight both before and after his bout with Mayweather. It’s the match which makes the most sense. To put it the easiest way, McGregor can truly cement his legacy by beating the one man who has beaten him in the UFC. Furthermore, he can silence his detractors and critics by successfully defending his title. Long criticized for his failure to answer contenders, this would go a long way in proving himself as a true champion. For Diaz, he could beat McGregor while bagging himself another giant payday in the process. As he will be challenging the Irishman for his title (providing they fight at lightweight) he will also have the opportunity to take the UFC title (and probably leave it lying on the canvas). Quite simply, this fight needs to happen. Soon.